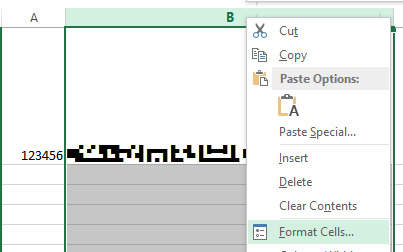 How to encode Data Matrix Barcodes using VBA in Excel? 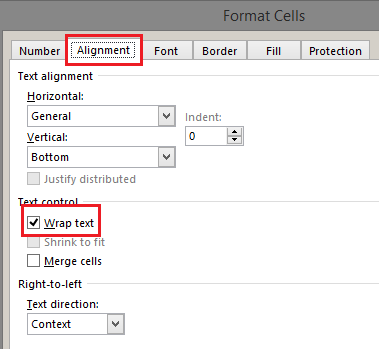 The tutorial explains how to encode data in Excel using the Data Matrix Font Encoder VBA. 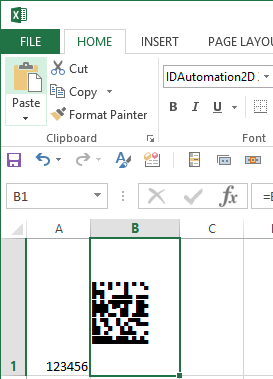 IDAutomation offers a 2D Font for Excel; however it does have some limitations. It is compatible with Data Matrix, QR Code, PDF417 and Aztec. Microsoft Excel may also be used as a data source for the font, as explained below. 3. Minimize Excel and locate the VBA file named IDAutomation_DataMatrix_Macro.bas. The VBA is located in the Integration folder of the product download. 6. 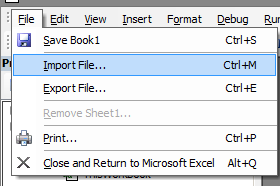 To import the VBA file select File -- Import File then search for and select the IDAutomation_DataMatrix_Macro.bas. 7. Select Tools -- References and search for the Data Matrix encoder; it will be named similar to IDAutomation Data Matrix and have a version number at the end of it. Choose OK.
9. In cell B2, enter the formula =EncDM and reference cell A2 to encode the data. The encoded data for Data Matrix should appear as several alpha characters. , may appear at the end of the merged data. 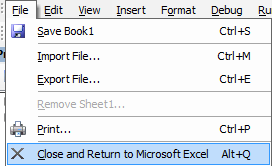 To resolve the issue, return to Excel and implement the SUBSTITUTE function.